Remote working from outside of the office and flexible working hours to suit your schedule are just some of the modern changes that have been implemented in many businesses across the world, reflecting the ever-changing structure of the modern workplace. However, to marry up with the evolving working methods, you need an up to date office suite to come with you. This is where Microsoft Office 365 comes in. With Microsoft Office 365, working from anywhere has been made easier than ever before. There is no need to set up any Virtual Networks on your system, you do not require any specific technology to access your files, and you do not even need more than the most cursory IT knowledge to get started. You only need to access the internet to work with all of your files and data that you have been creating and updating on Office 365. It all operates seamlessly to provide you with all of the office essentials that you use, including Outlook, Word and Excel. Beyond this, Office 365 enables you to have access to everything that you work on across all devices, from iPhones and android devices through to Apple Macs and Windows PCs. In addition to this, Microsoft are so assured of their ability for you to access your office files that they offer a 99.9% uptime guarantee for business users, meaning that you never have to worry about not being able to get to a file when you need it the most, be it on your home laptop or on your office desktop computer. Office 365 opens the way to safe and secure storage, a collection of powerful office applications and communication tools for instant messaging, voice and video calls. All of these capabilities can seem overwhelming, this is where OfficeLabs will help by providing Microsoft Office 365 support for administrators, business owners and users. Giving reassurance that your users have someone to speak to that can help to answer questions and offering guidance in all areas of Office 365 and SharePoint. 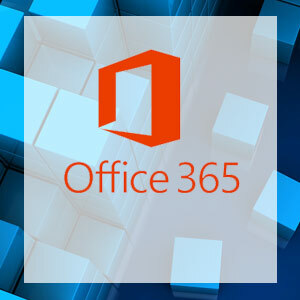 If you are moving from a fileserver, a different content management system or an earlier version of SharePoint we have a Microsoft Office 365 migration service where we plan and carry out the migration for you, removing the risk and headache of transferring to the new system. For continued reassurance OfficeLabs provide Microsoft Office 365 training to support users and administrators of the system. Any level of user would benefit from training and you get more from the product by knowing how to get the very best out of the office tools. With Office 365, collaboration between your business users has been made simpler than before. Challenges like arranging meetings with people who work locally or remotely and getting everyone in the same place at the same time is made simpler by using Skype for Business. Now you can remove the obstacles which affect your business and the efficiency with which people can collaborate with each other. Office 365 allows file access to whoever needs access, making collaborative work a far more streamlined process as all the user files will be stored online where multiple contributors can edit and provide content at the same time. Making proposal writing, for example, a much easier task. With a massive 1TB of storage per user, you also don’t have to worry about anybody running out of space for their files. Teamed with the ability to provide multi-party HD video, shared calendars and team chat, Office 365 is an essential for collaboration between your teams. With a strong security team that works on the front foot, Microsoft are committed to securing your data. Microsoft work hard to be on top of any security breaches and release patches to plug these vulnerabilities before your business is affected. In addition to this, Office 365 features the same technology that is used to protect the biggest companies in the world and applies this to your business data. With its in built scanning capacity, the Office 365 suite has the capability to scan your files and emails in real time, alerting you to software that it believes is malicious or any efforts to hack into your systems. Your files are in safe hands with Microsoft Office 365. For greater peace of mind OfficeLabs provide an Office 365 cyber security assessment and monitoring service. A continual check, report and advisor service to ensure that Office 365 security is maintained at the very highest level that is appropriate for compliance and the level for your company. Office 365 is provided on Microsoft’s subscription model, which has great business benefits. For example, as it is run on a fixed monthly subscription cost, it is much easier to budget for at a base level. However, the benefits of operating Office 365 from Microsoft’s cloud data centres mean that your IT costs are also brought down as you do not have to worry about hardware costs and the additional expenses incurred to maintain these products. With Microsoft looking after the software for you and maintaining the hardware at their end, you are free to concentrate the business focus on increasing productivity. Microsoft Office 365 is the ideal business solution for all companies, no matter their size. From the availability and capability of the suite to give you access wherever you need it, whenever you need it, through to the very basics of the simple low-cost solution that it offers, Office 365 gives peace of mind and flexible options to support your business. A typical Office 365 deployment with OfficeLabs means that we take care of the planning, pre-work, implementation and management of the project until the point of completion, and then continue to support after go-live. From working with you to determine your deployment goals and making the key decisions that shape which services are deployed when, through to the key messages and communications that will go to your users. We will identify and work through any blockers, managing the roll-out and user experience to provide a pain-fee experience. These are just some of the benefits that Microsoft Office 365 can offer your company. When you book an appointment with an OfficeLabs consultant, they will talk to you in depth about your business needs, and how best to utilise the power of Office 365. Remember, Microsoft Office 365 project planning is just one of our capabilities. Making sure your business runs as smoothly and efficiently as possible is why OfficeLabs has been chosen by both FTSE 250 companies and huge public sector bodies, and our no-jargon approach will let you talk to us with confidence about your requirements.